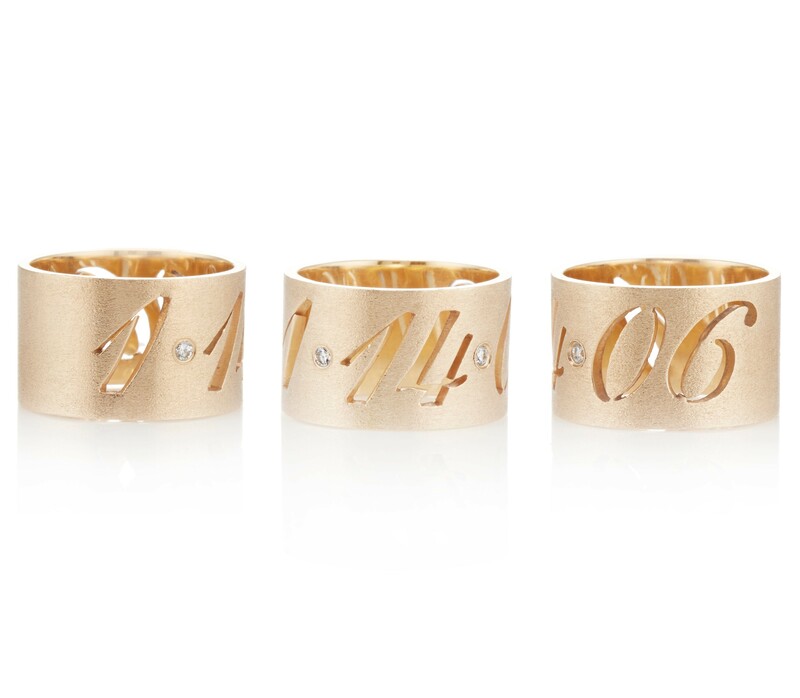 Our Date Rings have been designed to commemorate special moments in time. 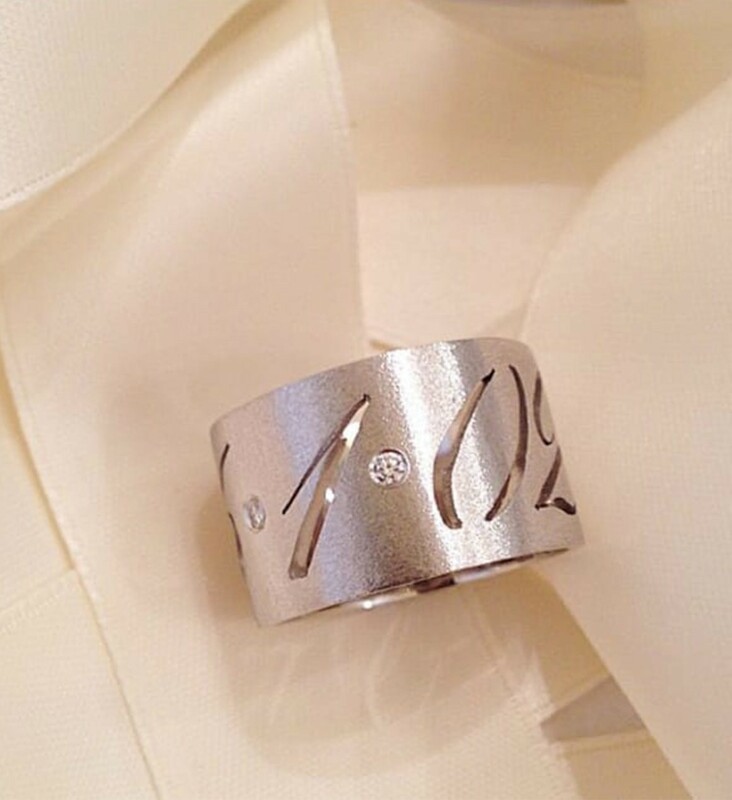 Each date is meticulously cut from our handmade and substantial cigar band style ring. Diamonds separate the month and day and day year. 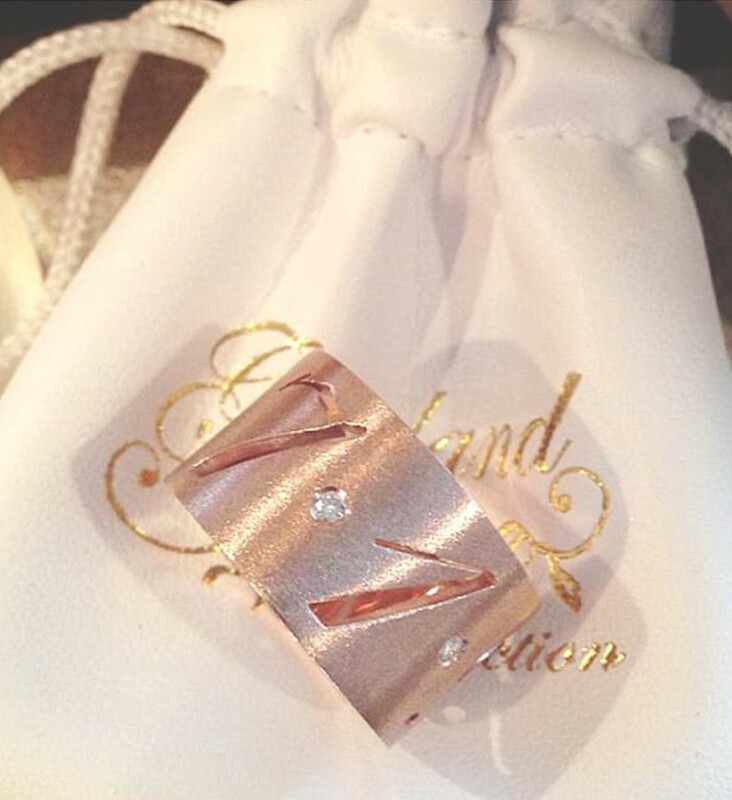 Each solid gold ring is high shine on the inside and satin matte finish on the outside. *Please note, we recommend going up by at least a half size larger than you may usually wear, as cigar bands tend to fit more snugly than narrower rings. Custom names, words or monograms are also available. Please contact sales@garlandcollection for more information.